‘Queer Eye’ star Bobby Berk names the pantry essentials and tools that build healthy eating habits. Celebrity designer Bobby Berk of Queer Eye fame has just launched a new blog encompassing design, lifestyle, health and wellness, and shopping. 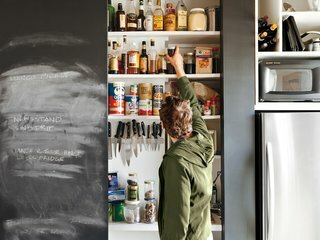 In an inaugural post on pantry essentials, Berk outlines his kitchen must-haves, favorite spices, and go-to sauces, explaining, "As much as I try to plan my meals and be prepared, sometimes life gets in the way. When that happens I have two choices, splurge on Postmates (rarely on something healthy) or throw something together with whatever I have in my pantry." Keep scrolling to see the 21 accessories Berk deems indispensable for the kitchen and pantry, and then head to his post to read the rest. Organize your favorite sodas, soups, canned fruits and more with the Kitchen Cabinet Can Organizer from Made By Design™. 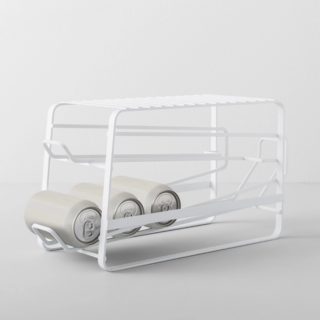 This convenient storage rack lets cans gently fall forward as you use them, giving you easy access whenever you need one. No kitchen is complete without a spice rack, so be sure to add this Stained Acacia 3-Tier Spice Rack from Threshold™. 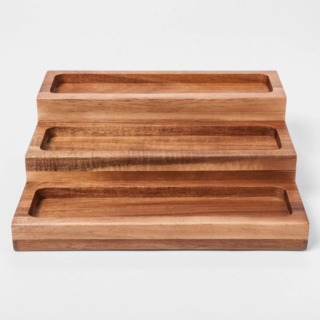 This acacia spice rack blends functionality and style, which keeps your kitchen well-stocked with spices or herbs. 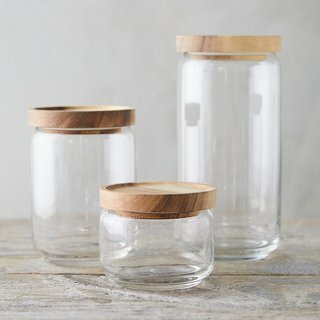 Practical and elegant, this glass food storage canister is outfitted with a rustic acacia wood top. 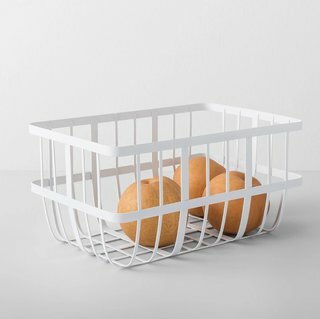 Made in Holland by iconic Dutch brand Rosti Mepal, this practical storage bowl is an all-around kitchen favorite. 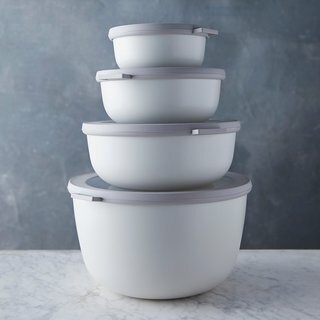 Designed specifically for a complete circle of use, each bowl can be stored in the freezer or fridge, heated in the microwave (without the lid), and placed on the table for serving. Whether you're decorating, organizing or prepping gifts, there are a myriad of cute ways you can use this Anchor Heritage Glass Jar. 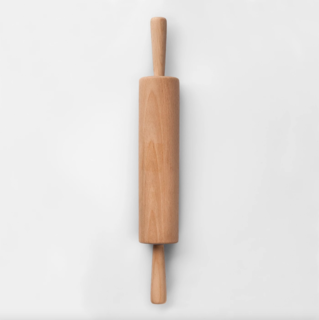 The 10-inch Beech Wood Rolling Pin from Made By Design™ is a handy kitchen staple you’ll love using to hone your baking skills. The wooden rolling pin is great for crushing cookies and crackers for toppings, or to roll out cookie, bread or pie dough. 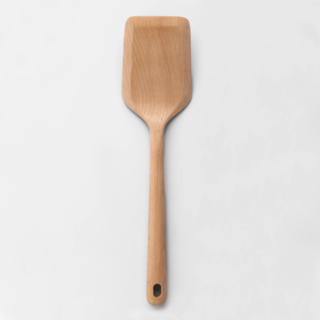 The Beech Wood Turner from Made By Design™ makes it easier than ever to flip your favorite foods. It’s perfect for pancakes, eggs, bacon, hamburger patties, fish and so much more, making it the perfect addition to your culinary collection. 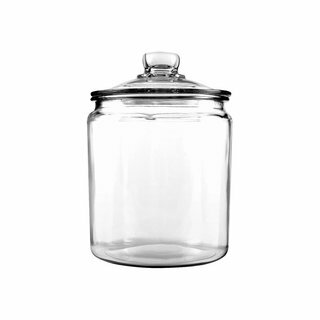 This classic canning jar from Germany is perfect for storing jellies and jams created from your own garden. Attractive and practical, you’ll reuse it year after year. Rubber rings and metal clamps included. 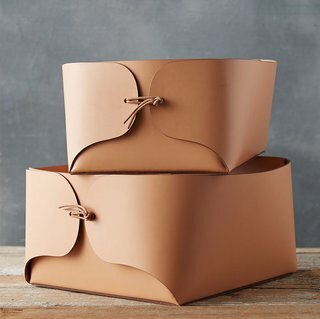 Handmade from chic leather, this spacious basket offers a modern storage solution for blankets, books, toys, and more. 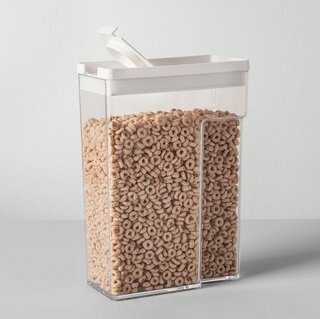 Perfect for cereal, oats, rice and other dry goods, this Plastic Food Storage Container with Snap Lid from Made By Design™ will make a great addition to your pantry or kitchen counter. Clear sides make it easy to see what’s inside, and an indented back lets you easily lift and hold the container. 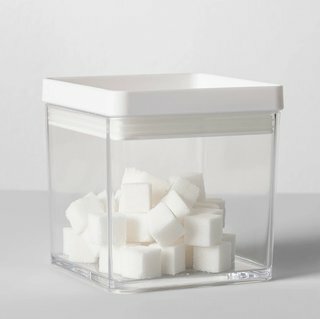 From sugar, oats or flour to dry beans, rice or pasta, the Clear Plastic Food Storage Container from Made By Design™ will be your go-to food storage solution. 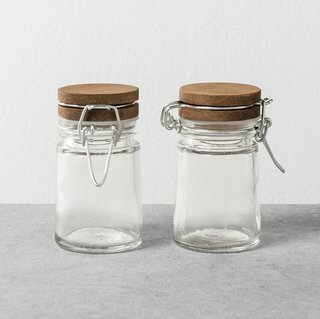 This simple, clear canister has a clean look and stackable design to save you space. 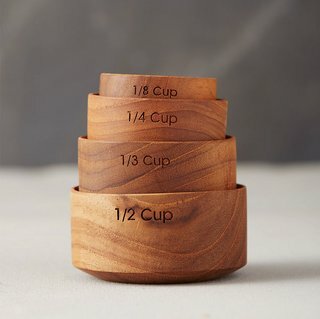 Handcrafted in Thailand by local artisans, these beautiful polished teak measuring cups elevate your cake-making and do double duty as miniature condiment bowls. 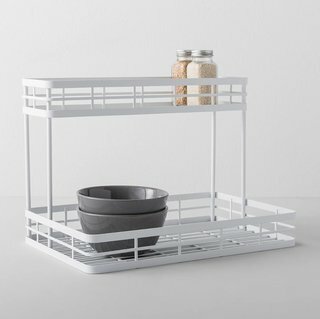 Add easy organization to your kitchen with the Open Front Stackable Basket from Made By Design™. 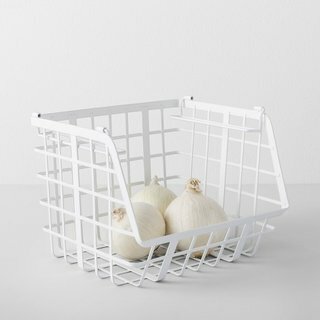 This metal kitchen basket gives you a sleek storage solution to hold anything from fruits and veggies to your dishcloths and kitchen towels. 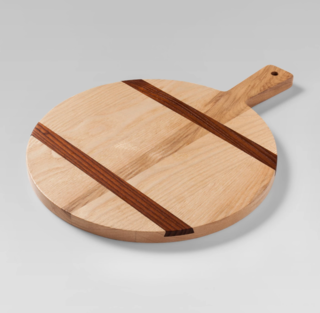 With the Two-Tone Wood Inlay Round Cutting Board from Threshold™, you never have to decide between function and style. 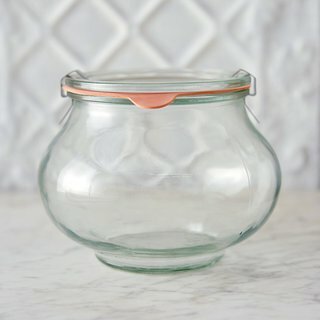 Store your spices and herbs in sleek style with the Round Glass Spice Jar with Copper Metal Lid from Threshold™. 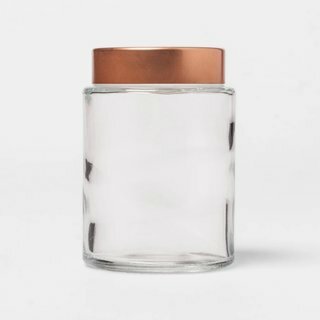 This storage jar comes with a tight-fitting copper lid to keep your ingredients perfectly fresh. 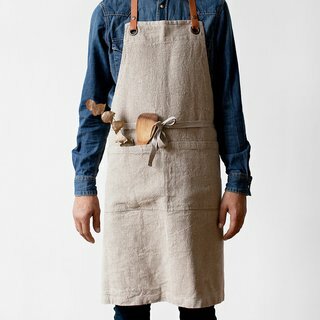 Clean lines and big pockets make this soft linen apron perfect for everyday use. 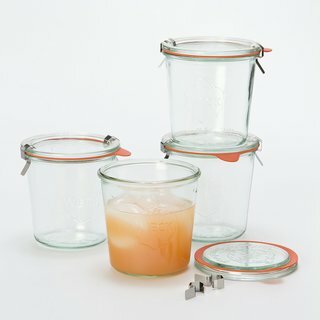 These classic canning jars from Germany are perfect for storing jellies and jams created from your own garden. 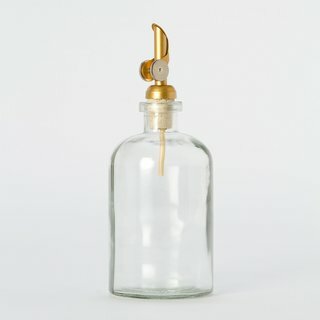 Attractive and practical, you’ll reuse them year after year as charming drinking cups, vases, or storage vessels.